62nd BFI London Film Festival right around the corner! We’re looking forward to yet another year of the London Film Festival this October! Kicking off on the 10th with the premiere of Academy Award winner Steve McQueen’s new film “Windows” at Cineworld (Leicester Square), the LFF promises an exciting and thrilling 10-day experience focusing around the newest films in the UK. As always, the Sutherland Trophy will be awarded to the director with the best first feature, and the Grierson Award will be given to the best documentary. There will also be the award for Best Short which has been part of the festival since 2016. For the first time ever, the audience will be invited to see the winner of the best film category in a public screening at Vue (Leicester Square) on October 20th. Winners of both the Sutherland Trophy and Grierson Award will also be screened publicly this year. It’s hard to imagine that back when the festival started in 1957, there were only 20 films that were featured, and none of them originating from the UK. That’s a big difference from now, where 225 films from over 70 countries will be showcased across 14 different locations in London over 12 days. Around 1967, when the festival began started showcasing British productions and films by female directors, the LFF slowly started growing into one of the most influential festivals in Europe. Creativity Media are pleased to see “VS.” being premiered at the London Film Festival 2018, for which Creativity provided full post-production. The 100-minute-long drama, directed by Ed Lilly, tells the story of troubled teenager Adam who gets drawn into the underground hip-hop scene. Two for Joy out in cinemas today! After its positive reception at Edinburgh Film Festival this June, Tom Beard’s Two for Joy, backed by the BFI, has officially been released in theatres across the UK today! Two for Joy is a dark deliberation on loss and grief, following a widowed mother of two, her heartfelt struggle with a mental illness and her problematic relationship with the children. The film stars Samantha Morton in the leading role, alongside Daniel Mays, Billie Piper and superb young actors Emilia Jones, Badger Skelton and Bella Ramsey. It was an absolute privilege to work on this project and we are looking forward for everyone to see it. You can watch the trailer here or just head out and watch the film on the big screen! 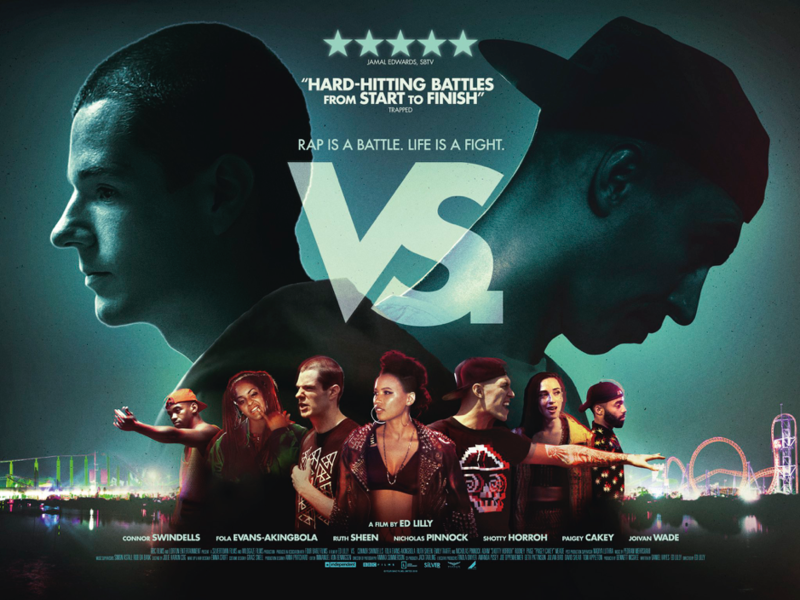 A new poster for Ed Lilly’s VS. came out a couple of days ago, which certainly helps with the wait for its premiere coming up next month – October 13 at the London Film Festival. The general theatrical release follows on October 19. In case you haven’t seen the trailer yet, you can check it out here! Await Further Instructions Trailer is here! 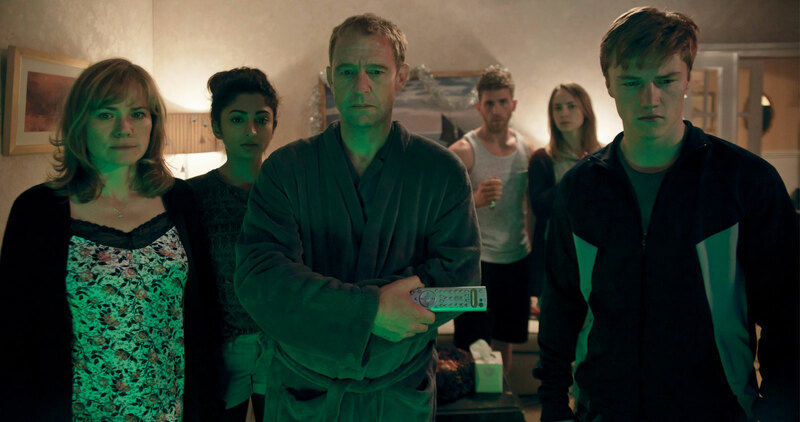 The trailer for Await Further Instructions is here, and boy does it look creepy! The film, due to be released October 5th (US), recounts the story of the Milgram family waking up one Christmas, to discover a mysterious black substance surrounding their house. Attempting to find out what’s going on, they switch on the TV, only to find a sinister looking message to ‘Stay Indoors and Await Further Instructions’. What follows is an ominous descent into paranoia, desperation and bloody carnage. Watch the chilling trailer here . VS., Ed Lilly’s enticing new drama, stars Connor Swindells as Adam, an adulting foster kid, who suddenly finds himself in the midst Southend rap scene. Guided by Makayla, played by Fola Evans-Akingbola, Adam finds his calling and lets out his anger battling amongst the rappers in this edgy coming of age story. BBC funded and Silvertown Films’ produced, we had an extreme pleasure and so much fun doing post production for VS. here at Creativity Media. VS. will be premiering at the BFI London Film Festival this October, and we can’t wait! I Am Not a Witch named UK’s entry for Best Foreign Language Film for next year’s Oscars! The feature, written and directed by Rungano Nyoni and post-produced by Creativity Media was named UK’s entry for Best Foreign Language Film for 2019 Oscars! 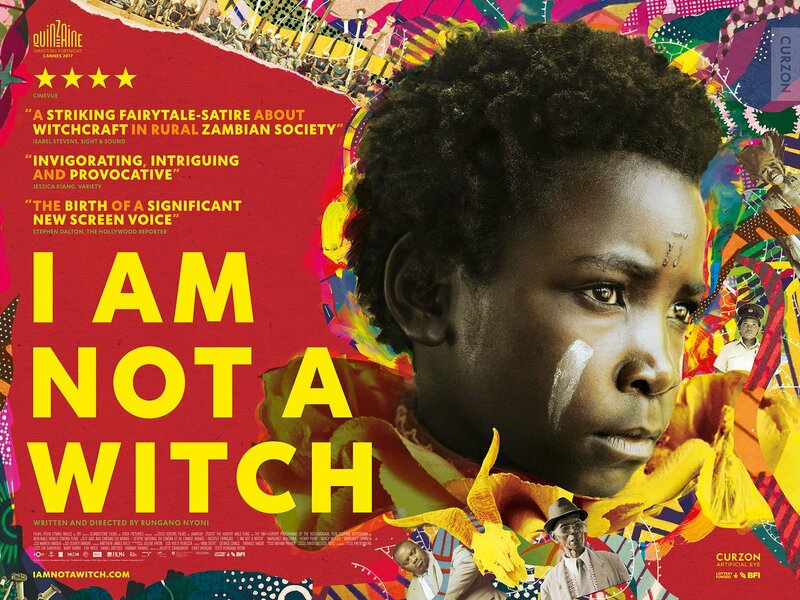 I Am Not a Witch is a fascinating story of a young girl accused of having magical powers, for which she is banished from society. Set in Zambia, following the magical surrealist tradition of African cinema, the film exposes socio-cultural issues through its witty humour, namely in regards to negotiation of womanhood and cultural identity. World Premier of Maiden at TIFF! Creativity Media are pleased to see the world premier of documentary “Maiden” at Toronto International Film Festival this year. Founded in 1976, the event offers screenings, lectures, discussions, workshops and opportunities to meet film-makers from around the world. Considered as one of the “Big Five”, TIFF attracts almost 500,000 people a year, and this year will take place from 6th until the 16th September. 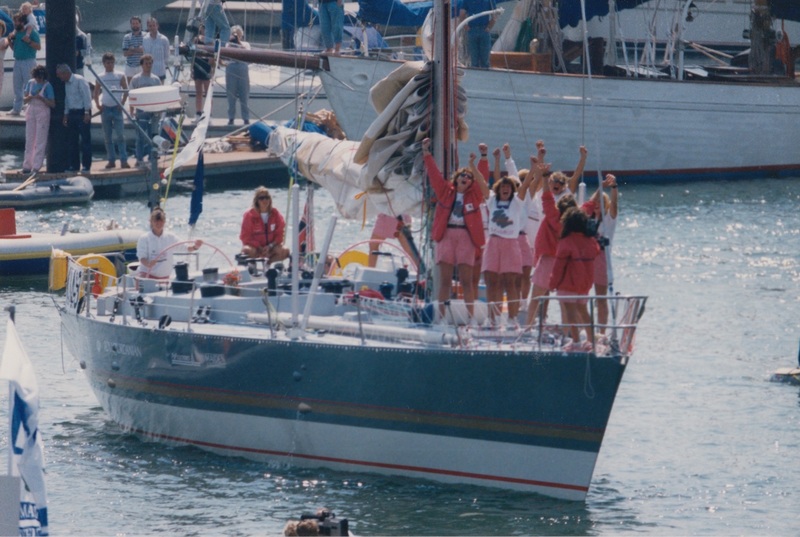 “Maiden”, for which Creativity provided full post-production for, recounts the story of a team of bold and dedicated women in the late 80’s, on a mission to prove that women can do anything men can do too. 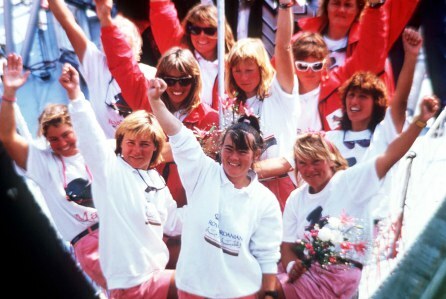 The documentary follows Tracy Edwards, the valiant leader and skipper of the boat, and her quest to put together a crew as fearless as her, and become the first ever female team to partake in the Whitbread Round the World Race. Through hard-work, determination and humility, the crew of Maiden make the impossible possible, by not only partaking in the competition but also winning a couple of the races, in a time sailing was a male dominated sport. This breathtaking film, directed by Alex Holmes and produced by Victoria Gregory, carries the viewer through an exciting and moving journey of Tracey and her crew to becoming fearless legends, and proving that women are just as capable at men. Trailer for Postcards from London came out yesterday! Harris Dickinson is a “small town boy” in a “big city” and navigates the re-imagined world of London’s Soho shrouded in art and beauty in this upcoming feature by Steve McLean. 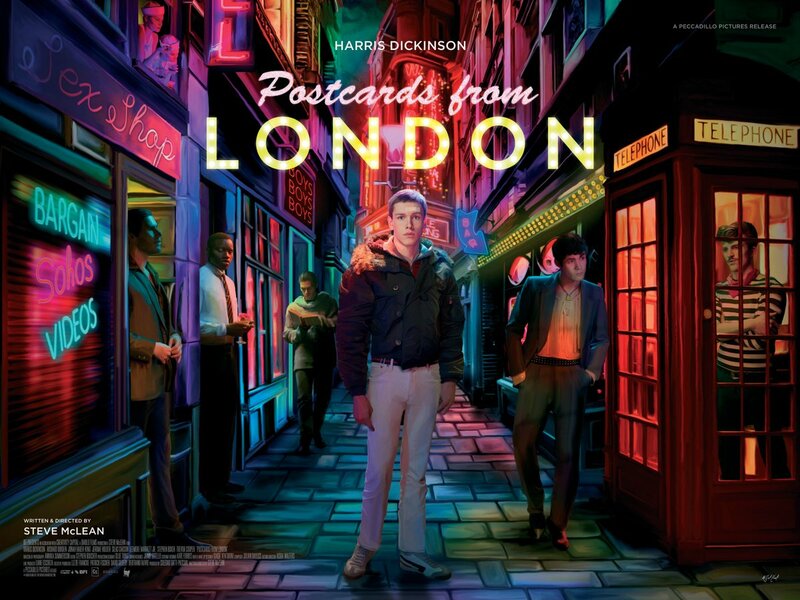 Postcards from London is out in cinemas on November 23! New trailer releases for Damascus Cover and Final Score! How exciting to have two of our films’ new trailers roll out last week as well as a Damascus Cover teaser! Damascus Cover, a spy thriller starring Jonathan Rhys Meyers, Olivia Thirlby and John Hurt promises a suspenseful espionage in Syria, while Final Score with Dave Bautista and Pierce Brosnan packs in an action-filled fight of an ex-soldier against a group of attackers holding a football stadium hostage. The trailers really help with the wait, Damascus Cover to be out in cinemas on August 3 in UK and Ireland with Final Score following on September 7! Kanye West tweets about McQueen! It was great to see Kanye West’s appreciation of McQueen last week in his Twitter post! In his tweet on the film about Alexander McQueen’s struggles, Kanye claimed he “connected with his journey” and knows “how it feels to want to take your life back into your own hands even if it means taking your own life.” We are pleased the film’s difficult subject matter is already opening up a conversation on mental health issues. Creativity Media fully financed and post-produced the film and we are thrilled to see that it was so thoroughly enjoyed by Kanye and his wife Kim, who retweeted the post!